Companies small and large have invested lots of resources into designing and developing employee handbooks/culture codes. The companies below have realized the value of having a well designed and well-articulated employee handbook. 4. ZGM – This Alberta based marketing Agency uses less imagery and a lot of bold text to get the message across effectively. 5. Zaarly – Zaarly is a home service provider aggregator platform based in multiple US cities. 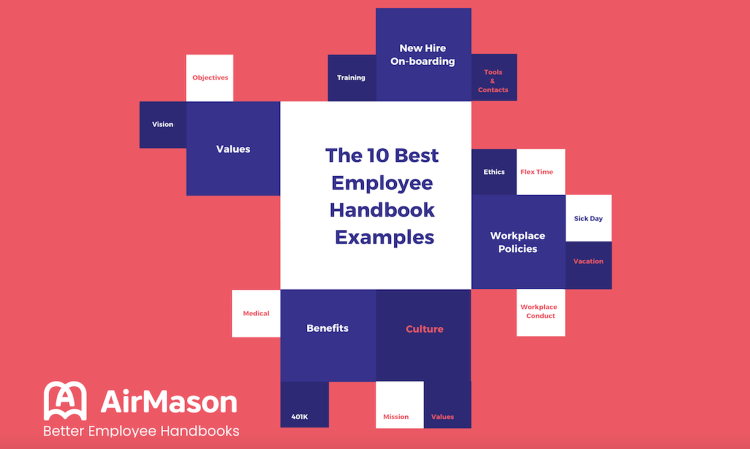 Their employee handbook focuses on getting their employees aligned with their mission on helping people who take pride in their homes hire people who take pride in their work. 6. Zappos – Zappos is known for its extreme focus on workplace culture so much so that they offer $3000 to leave after the first week. Their 296 pages extensive handbook is an example of its dedication to culture. 7. EF Education First – Education First has created an elementary and adorable employee handbook that everyone would want to read. They have used children’s book illustrations to style their short and sweet 7-page employee handbook. 8. Valve – This employee handbook was leaked in 2012 and it became very popular because of it’s off-beat take on a handbook. They used humorous illustrations throughout the handbook to keep the readers engaged. 9. Disqus – This one is balanced between legal policies and company culture. It covers the legal part in the first section and about the work culture at Disqus in the second. 10. PeopleHR – This is one of the better-designed handbooks out of the list, created by PeopleHR. It’s a 17-page pdf handbook that’s used as an onboarding document for new hires describing the first few weeks at the company.